Use this Homer Laughlin Kensington Ameriwhite 7 oz. tea cup to serve gourmet teas and coffee. It's Made with a high-fired, lead free glaze. This crisp bright white Homer Laughlin Kensington Ameriwhite 7 oz. 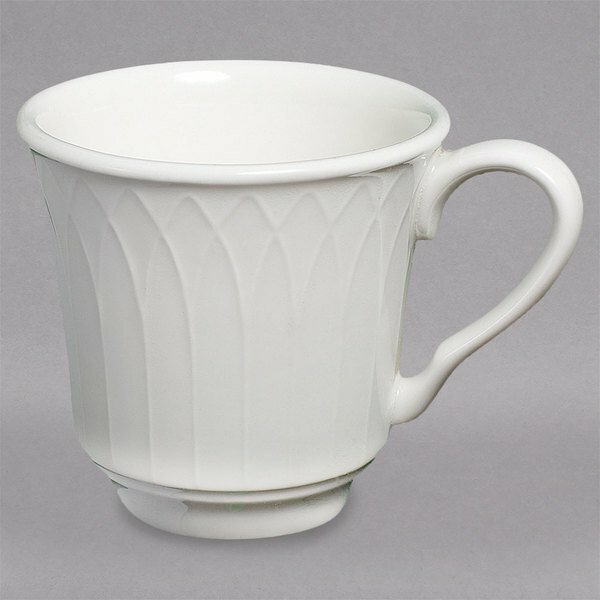 tea cup features pointed-arch sculpting from the top rim to the base. 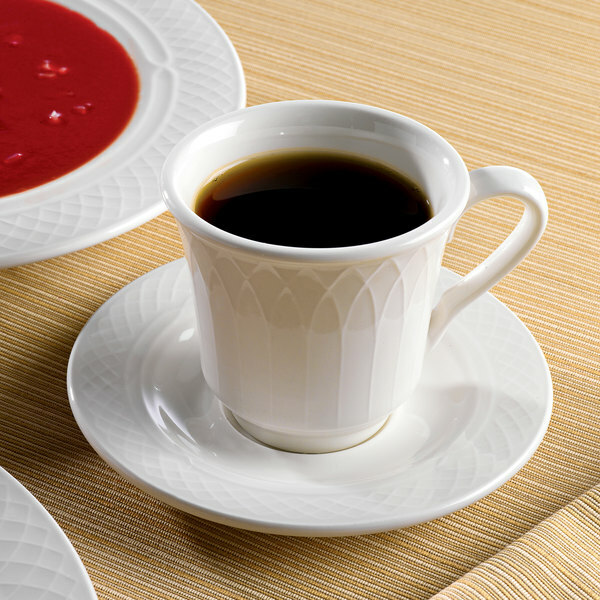 This tea cup is ideal for chic restaurants, hotels, and at catered events. 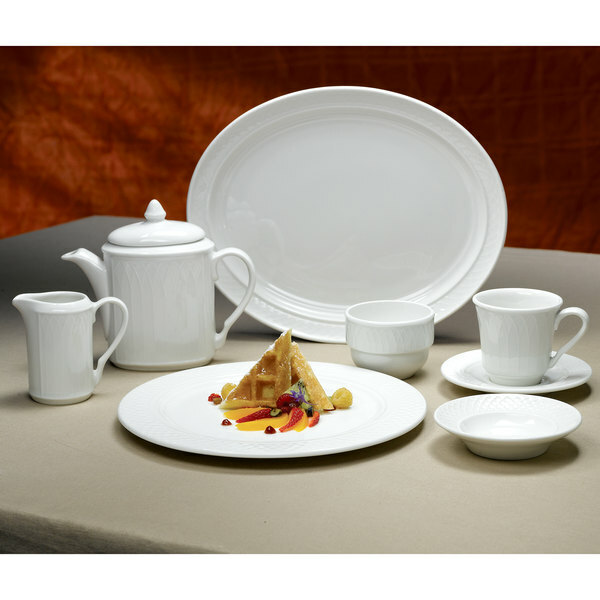 As part of the Kensington Ameriwhite collection, this piece boasts extraordinary elegance thanks to its embossed rim motif. Its lattice sculpting features an intricate design, while the white on white color sparkles in the light of your high-end dining room. Plus, this piece features a high Alphalain® content, which is a powerful alpha aluminum material. This provides exceptional durability needed for use in your commercial establishment.